Procedure CoolSculpting: No more love handles for this 60+ athletic male after two CoolSculpting treatments to lower flanks. *Results may vary and specific results are not guaranteed. 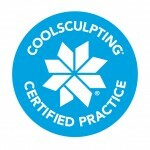 Procedure: 30 year old before and 2 months after two CoolSculpt treatments to flanks/love handles area and one CoolSculpt treatment to lower abdomen. *Results may vary and specific results are not guaranteed. Procedure: Before and 3 months after one CoolSculpt treatment to upperflanks/braline area. *Results may vary and specific results are not guaranteed. Procedure: Before and 3 months after one CoolSculpt treatment to upper flanks/braline and one CoolSculpt treatment to lower back/love handles area. *Results may vary and specific results are not guaranteed. Procedure: 55 year old before and 3 months after one CoolSculpt treatment to upper flanks/braline and one CoolSculpt treatment to lower back/love handles area. *Results may vary and specific results are not guaranteed.